Outsourcing is one of the very few industry trends that have continuously gripped the business world ever since it gained momentum. This especially holds good in the context of customer service which is now synonymous with call center outsourcing. In the majority of cases, organizations prefer to let a contact center take over its customer service unit to decrease the expenditure that is associated with the management of customers. Although there is a plethora of companies in this arena, the emergence of new players intensifies the competition. Moreover, development of advanced technology and the ever increasing tech-savviness of customers have added dimensions to the competition. Most of the times, a company takes the decision to entrust a third-party with the responsibilities of its customers to establish its foothold in the revenue-generating areas of business. At the end of the day, it is not always cost that matters. 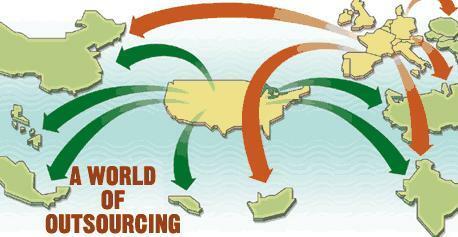 There are many other advantages of outsourced call centers. Let us examine and understand some of them. Every service provider understands that an in-house customer support staff has certain limitations. One cannot expect an employee to be available for its customers at any time of the day. After all, any individual can get fatigued at some point in time or the other. In this situation, your outsourcing partner can be of great help, especially for those customers who do not hesitate to call even in the middle of the night. Moreover, you also have the advantage of flexibility that comes through the synchronization of services with your time zone. When you contract out the operations of your contact center to a company that only focuses on call center services, it is quite possible that you are going to get the benefit in the long run. It would improve the experience of a customer and convert enhanced performance into measurable business deliverables. Most of the companies in the area of call centers outsourcing offer customer support in various languages. Gone are the days when only a global language like English was considered the universal medium of interaction. At present, companies engaged in offshoring activities employ proficient and educated personnel who can speak more than one language. As a service provider, you need not take pressure if you have customers who speak a language that you do not know or understand.